The Chinese New Year is approaching but the military will not be on vacation. Taiwan’s air force is giving a media tour this week to show that it is watching for any suspicious moves from China. That’s amid greater tensions as Chinese President Xi Jinping called for reunification in a speech in January. Taiwan’s Mirage 2000s can takeoff in 6 minutes and they do so in an emergency takeoff exercise on Wednesday. The Mirage 2000 is a multirole combat fighter that can fly at a maximum speed of 2,530km/h. The heat from the exhaust is over 1600 degrees Celsius. It’s hard to even stand firm near the Mirage 2000 as it begins takeoff as Air Force officer Wang Bo Nong says 21 its maximum thrust is 21,400 pounds. The media had the rare opportunity to watch as tires were changed and missiles were mounted on the Mirage 2000s at an air base in Hsinchu this week. The Chinese New Year is approaching but the military will not be on vacation. Taiwan’s air force is giving a media tour this week to show that it is watching for any suspicious moves from China. That’s amid greater tensions as Chinese President Xi Jinping for reunification in a speech in January. 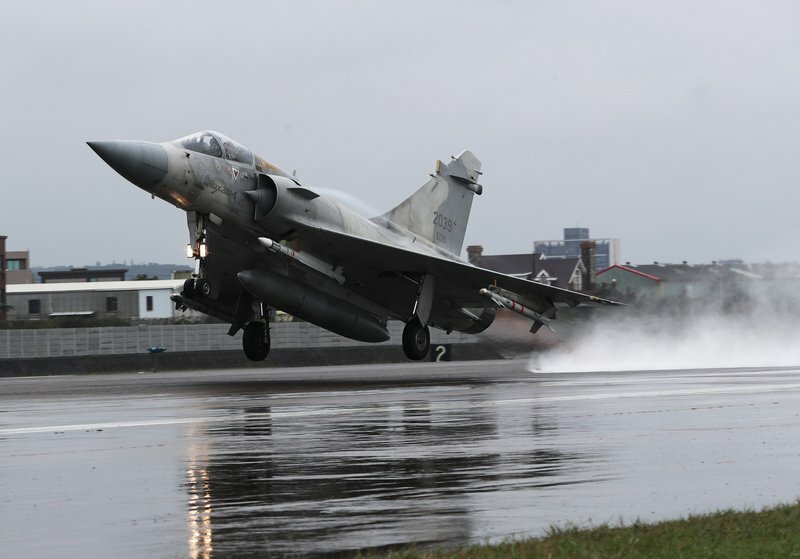 Taiwan’s Mirage 2000s can takeoff in 6 minutes and they do so in an emergency takeoff exercise on Wednesday. The Mirage 2000 is a French multirole combat fighter that can fly at a maximum speed of 2,530km/h. The heat from the exhaust is over 1600 degrees Celsius. Chinese New Year is approaching but the military will not be resting. Mirage 2000s are on standby 24 hours a day for any suspicious movements from China. Mirage 2000 pilot Major Lee Yi-hsiu said that they can execute any emergency takeoff in 6 minutes. A recent US defense report on China’s newest military capabilities shows that the People’s Liberation Army is becoming a world leader in its navy, mid-range missiles and hypersonic weapons. In some fields it is leading the world. It is strengthening the cruise capabilities of its bombers and may be targeting the United States and other allied countries. It is also strengthening its ability to attack Taiwan. Defense ministry spokesman Major General Chen Chung-chi says Taiwan is more concerned than most countries about China’s military and we are keeping watch at all times.